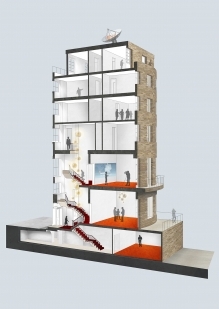 Following an invited competition by the ZDF headquarters in Mainz Germany, ÜberRaum has been commissioned for the refurbishment of their Grade II listed London studio. 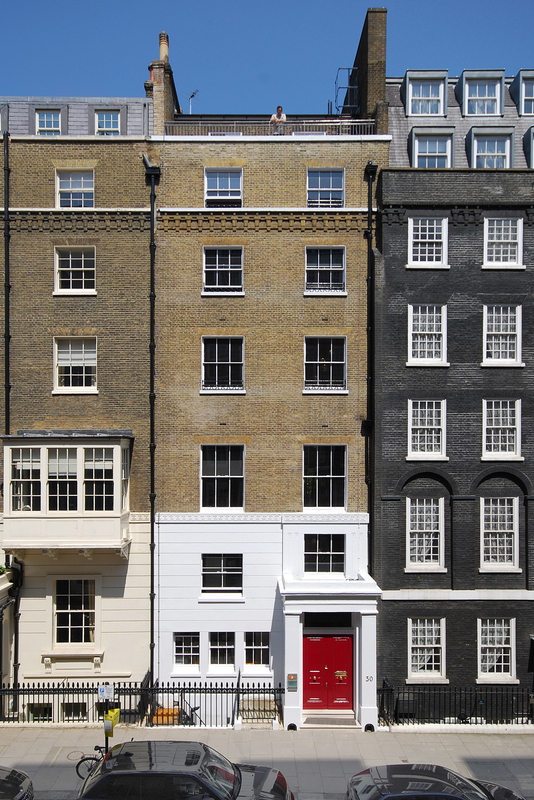 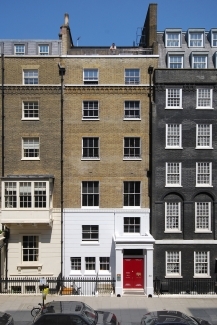 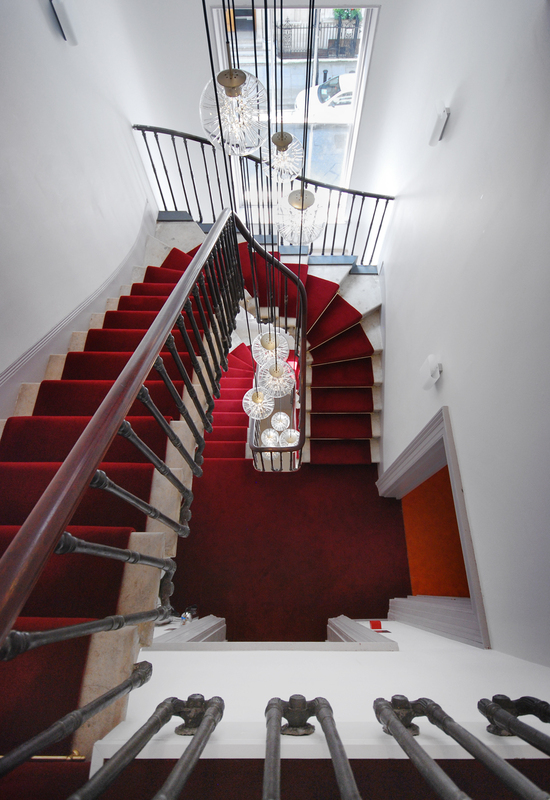 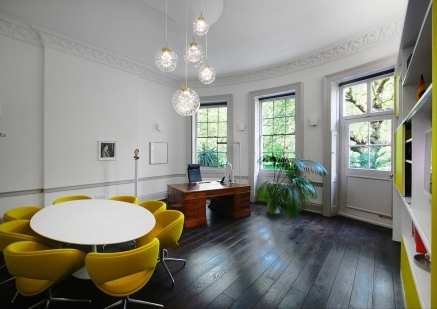 The seven-storey building has been substantially renovated to provide flexible, efficient office and broadcasting spaces for the 2012 Olympics, while revitalizing the historic features of this imposing townhouse. 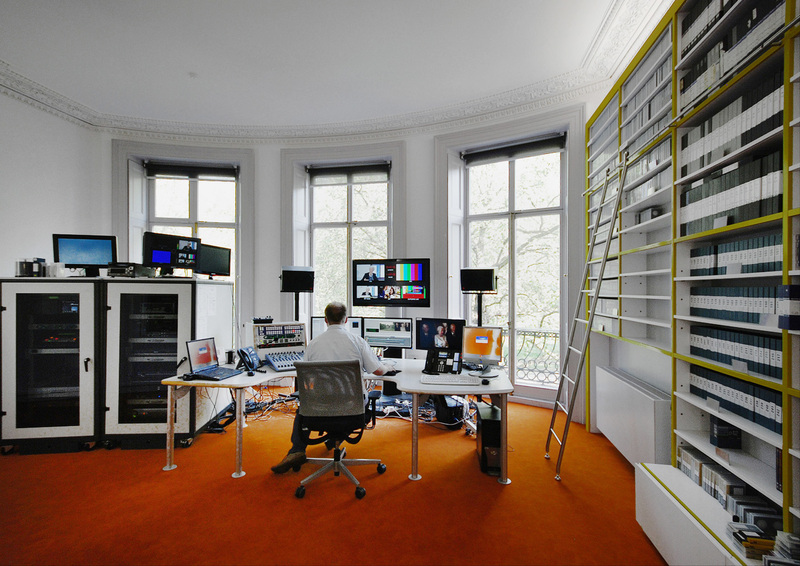 Integrating the requirements of a television studio within the fabric of a listed building was a major challenge and has been discreetly solved with bespoke furniture throughout. 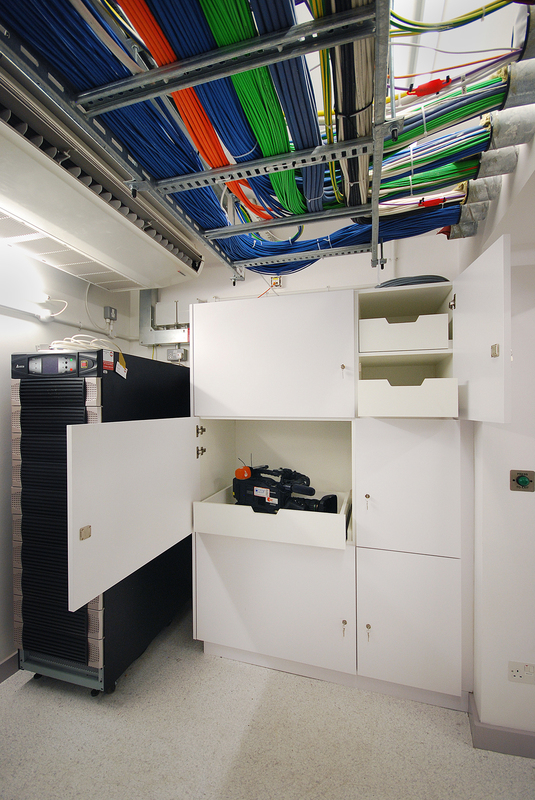 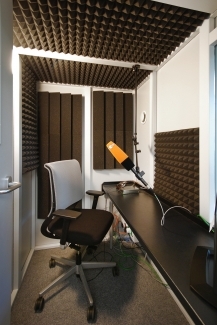 The brief also covered the move of the entire ZDF Team to temporary accommodation over the construction period. 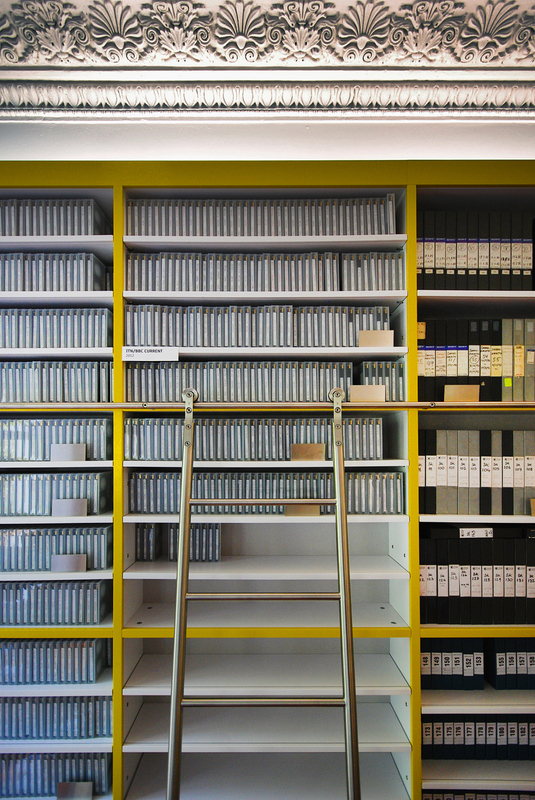 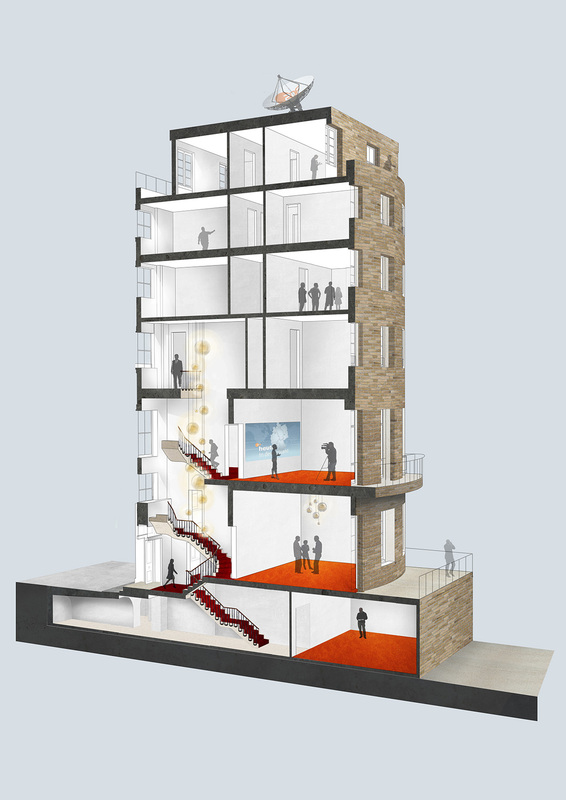 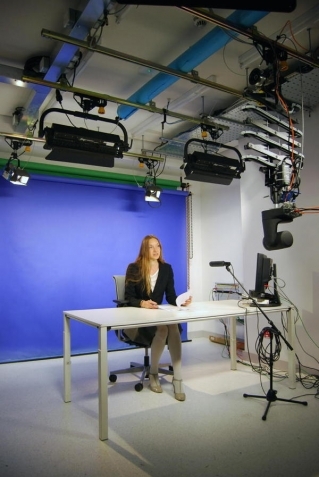 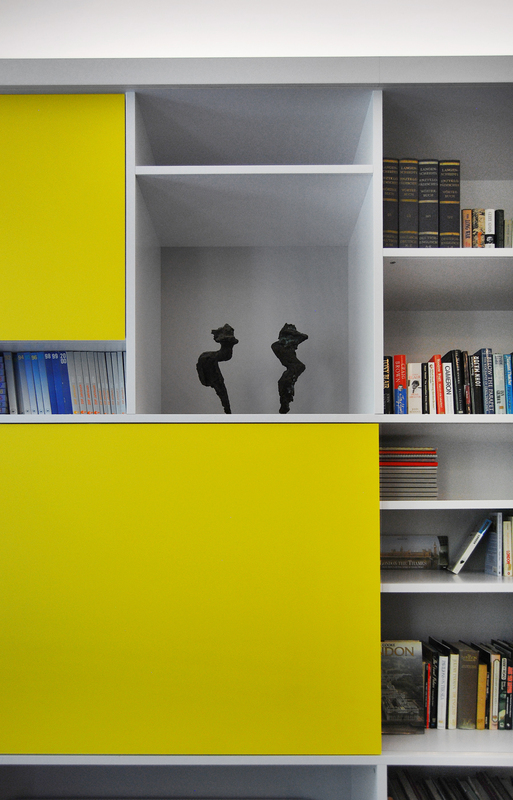 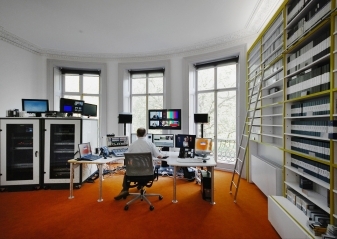 The ZDF Broadcasting Studio London has been nominated for the German Design Prize 2015.